Celebrate your public lands by giving back to your local parks! 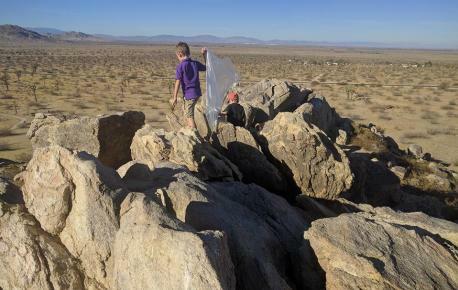 As part of the 26th Annual National Public Lands Day, Saddleback Butte State Park is leading a habitat cleanup on Saturday, October 5th from 8 a.m. to noon. Litter in the park, dropped by careless visitors or blown in from the road, is dangerous for wildlife and unsightly in nature. Volunteers are needed to pick up wrappers, cups, balloons, and other debris tangled in bushes near the campground and along the fence line. This activity involves walking through soft sand for the distance of your choice. Those who wish to trek farther should be sure to arrive early! Please note that dogs are only allowed in the campground, picnic area, and park road (no dogs on trails in State Parks). Parking fees will be waived for participants, and you will receive a complimentary Litter Getter Magnet, a district-wide day use pass for adults, and a Saddleback Butte State Park patch or water bottle to thank you for your stewardship! Coordinated each year by the National Environmental Education Foundation (NEEF), National Public Lands Day brings together volunteers from coast to coast to improve and restore the lands and facilities that people across America use and enjoy every day. Each year, National Public Lands Day volunteers provide tens of millions of dollars’ worth of services in one day that would otherwise take limited park staff months to accomplish. Last year, more than 200,000 people participated in events at more than 2,500 sites in all 50 states plus Washington, D.C. Check in at the campground for registration and litter pickup supplies. Bring lunch, water, layered clothing with long pants, and sun protection; bringing your own reusable gloves and water bottles will help conserve natural resources. Pre-registration is not required, but participants may RSVP in advance at www.Facebook.com/SaddlebackButte. For questions about this event, call 661-946-6900 or email Jean.Rhyne@parks.ca.gov. For information about the park, visit www.parks.ca.gov. 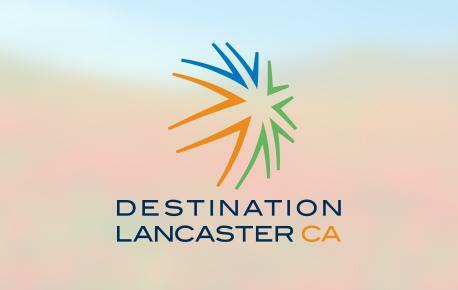 Where: Check in at Saddleback Butte State Park Campground, 17071 East Avenue K in Lancaster (East Avenue K and 170th Street East, near Lake Los Angeles). From Hwy 14, follow Ave K east past 150th St. East. Road becomes K-8; make a left on 170th Street East back to Avenue K. Make a right, and the campground entrance is on the left.